Our family loves muffins. Especially mini-muffins. 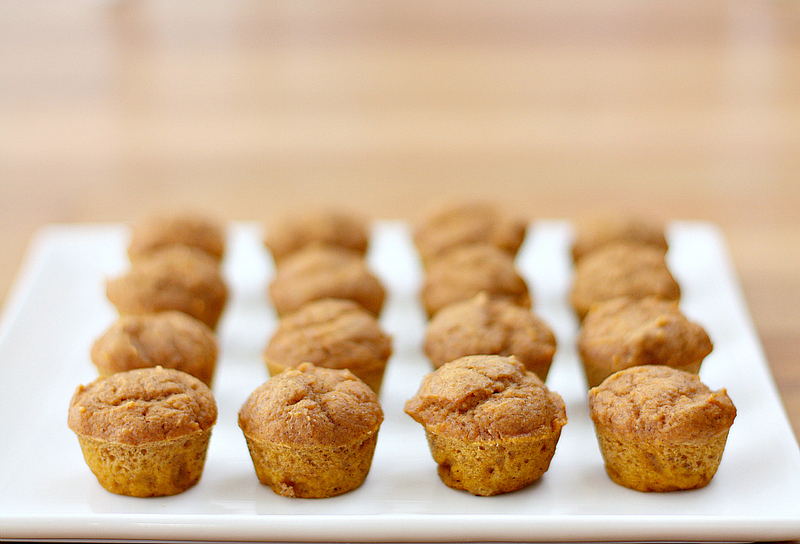 These vegan holiday spiced mini-muffins are perfect for an after school snack, holiday gifts, or quick fuel for holiday shopping.. They are so easy to make and only require one bowl for mixing. Preheat oven to 325 degrees. 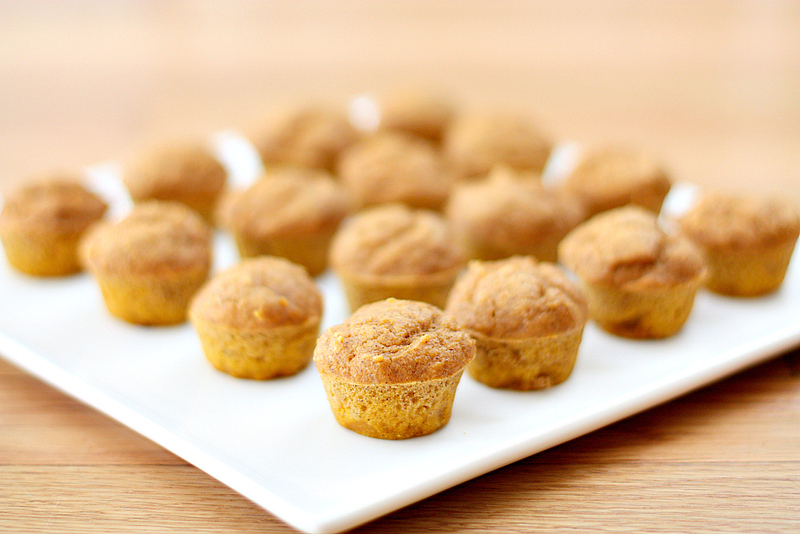 In a large bowl, combine your flour, sugar, baking soda, baking powder, salt, pumpkin pie spice, and ground ginger. Mix until all ingredients are combined. With a spoon, make a well in middle of your dry ingredients. In the well you want to pour your vegetable oil, pumpkin, applesauce, and water. Mix all ingredients until thoroughly combined. Spray a mini-muffin pan with non-stick cooking spray. Fill each muffin tin until 3/4 full. Bake at 325 degree for 12-14 minutes or until a toothpick comes out clean when inserted. Let cool on cooling rack. Carefully remove from muffin tin and store in airtight container. Enjoy!